The day before I was heading to Pai, a traveller I met recommended the Pai hot springs and he said it is “one of the best things to do in Pai”. As a result, I put in on my long-list Thailand itinerary, losing my hot spring virginity is something I wanted to do in Pai. One our second day In Pai we headed over to hot springs at around 10am, the roads are quite and it’s such a sweet drive. You will feel like you’re driving through a forest in Canada, I did anyway. You will also appreciate the width of the roads and how looked after they are. Furthermore, when you reach the Sai Ngam National Park you will be stopped by a checkpoint, I thought it was the police and then I expected to pay a bribe of 400 Baht ($15) for not having an international driving licence. However, it’s just two Sai Ngam National Park entry guards, phewww. 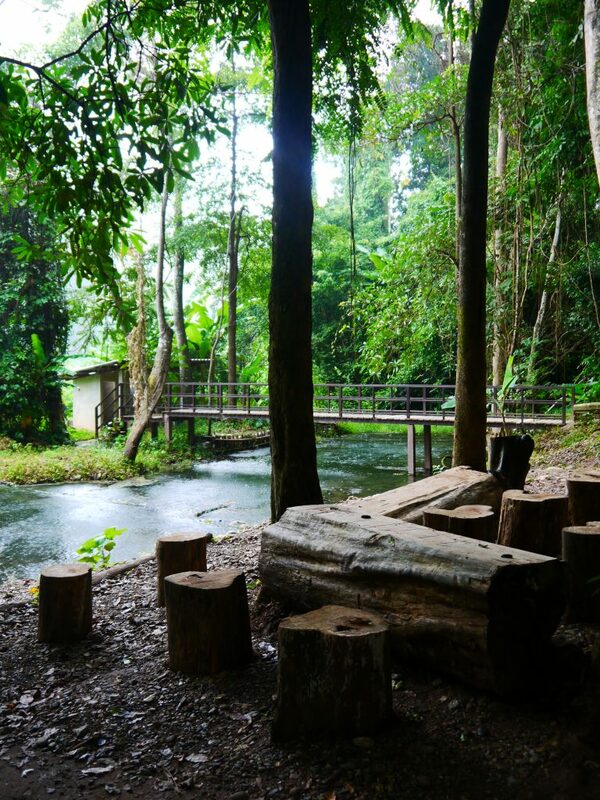 You will then continue for a further 10-minute’s drive until you reach the Thailand hot springs in Pai. 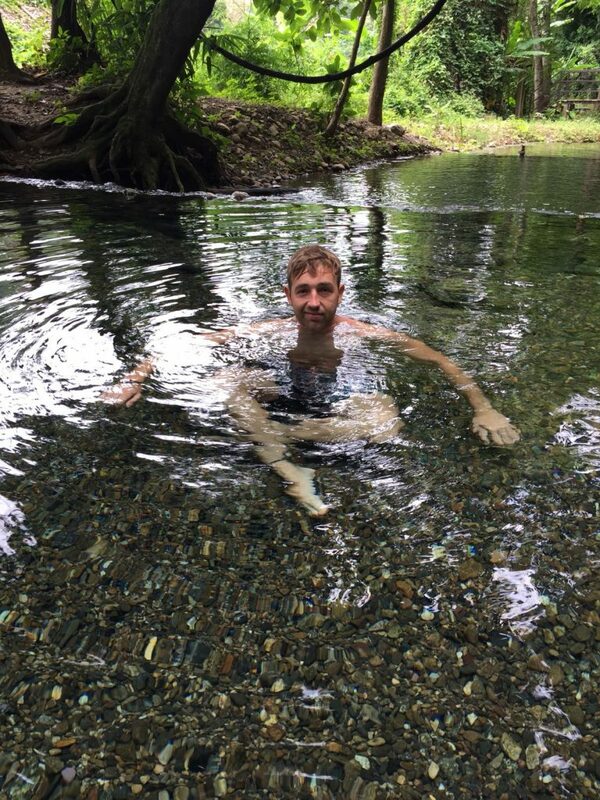 To my astonishment there was 2 people sat in the crystal-clear water of the Pai hot springs. I am used to tourists swarming any top places to visit. However, you will be pleased to know the Sai Ngam hot springs are not really known be many tourists. Therefore, you can enjoy these hot amazing waters in pure luxury and without 100’s of tourists running riot taking selfies all over the place. 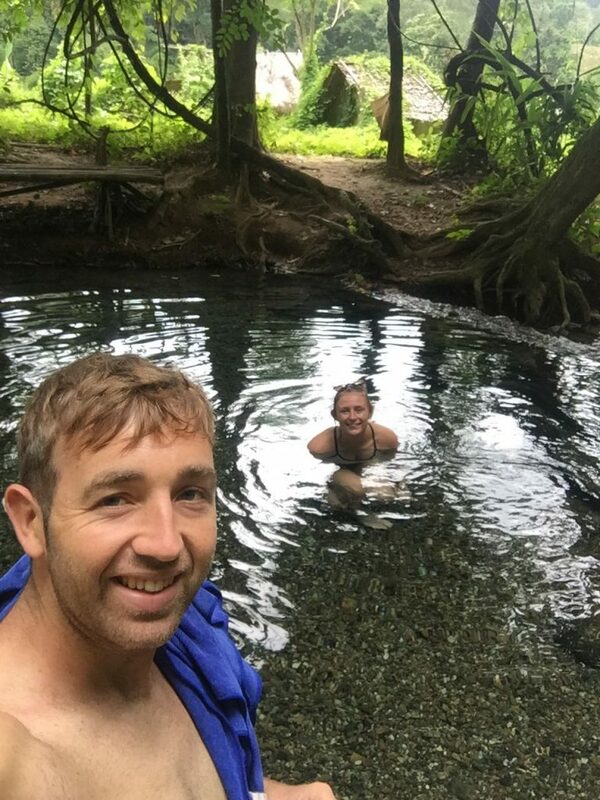 The hot springs are a surreal experience providing you with a temp of around 85˚c and we all love a good relax in a little hot water. It was a crazy moment dropping my toe in the warm water for the first time and I am sure you will think the same. Like I mentioned it was my visit to a hot spring and I was shocked how epic the springs are. You can chill out in 2ft of warm water and just stare in awe at the epic scenery that surrounds the overwhelming hot springs Pai. The Pai hot springs hours are 8am-6pm every day. It doesn’t really matter what time you visit the Thai hot springs as there is never a mad rush of tourists and this stunning location is always quite. 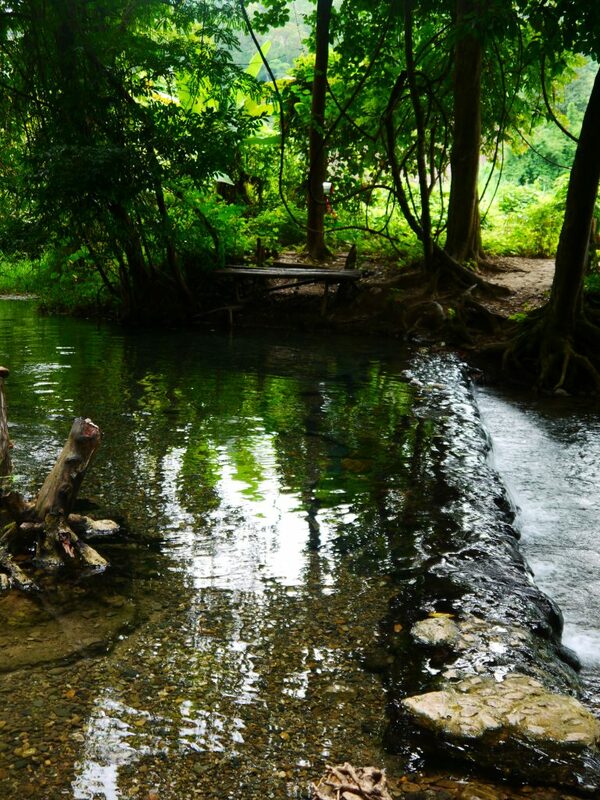 The Sai Ngam hot springs are roughly and 11 kilometre drive from the centre of Pai. 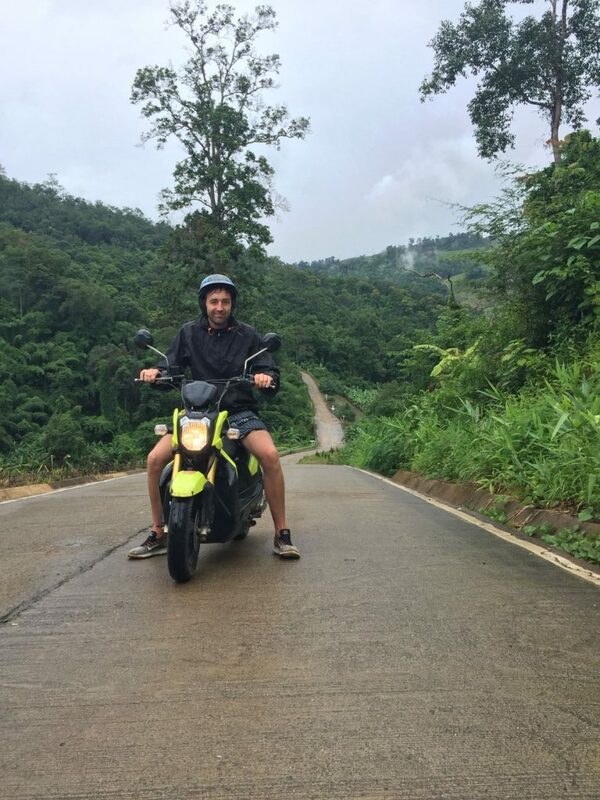 But it’s an amazing drive and you will more than likely head there on a scooter. Furthermore, within the national park there are a few hills which maybe a little difficult on the scooter due to there gradient. But we made it up most of them on a rubbish scooter and like us if there is two of you on a scooter, one may have to walk for 2 minutes on some of the hills. So how much does it cost for the hot springs of Pai? After researching and reading up online, the prices we was charged was different to all other sources of information on the internet. Therefore, I will share with you the actual Pai hot springs costs. Upon arrival to the Sai Ngam National Park, you will have to pay 200 baht ($8) per person at the checkpoint I mentioned earlier. We did not expect to pay this, but there is demanded for entry to the hot springs. When you reach the point within the forest where the hot springs are located, you will have to pay another 20 baht ($0.70) per person as the Pai hot springs are not free, but you get free parking so that’s a positive. 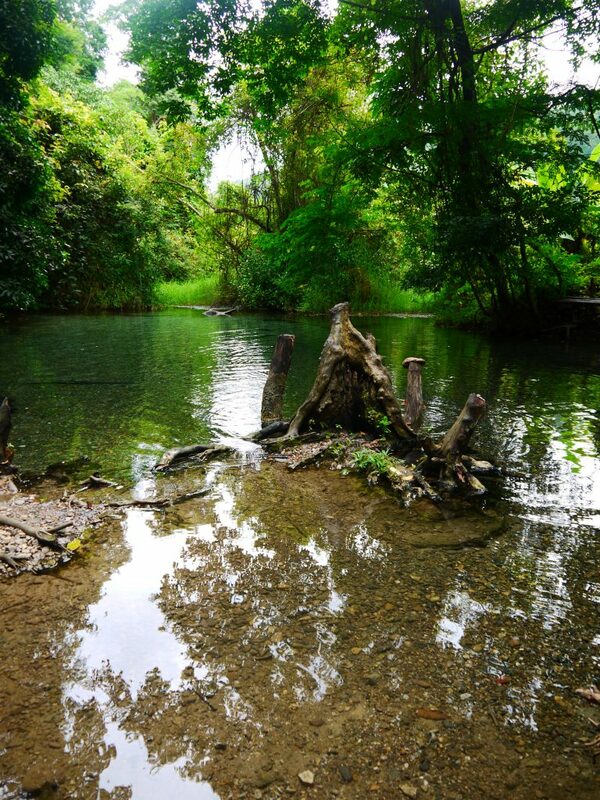 After the couple of payments, you are all set to enjoy the best time in a river you will ever experience surrounded by stunning scenery and best of all you there is a good chance you will have the spring to yourself. 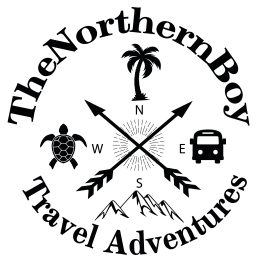 Where to stay in Pai or what is the best hostel in Pai? I stayed at one of the sweetest homestays in Pai and it’s perfect for your visit to Pai if your looking for cheap, but great accommodation. Baan Aomsin is one of the best places you can stay in on a visit to Pai. You will be given a cute small sized room on a block of one-up and one-down rooms. 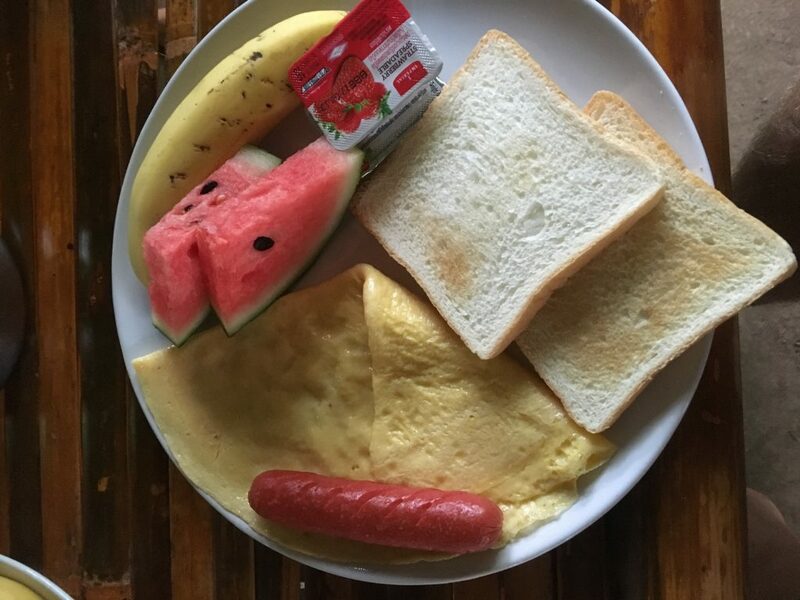 The Baan Aomsin in Pai provide an epic breakfast for you, which include any type of egg, sausage, toast, fruit, tea and coffee. I looked forward to the breakfast every night in this mega accommodation. 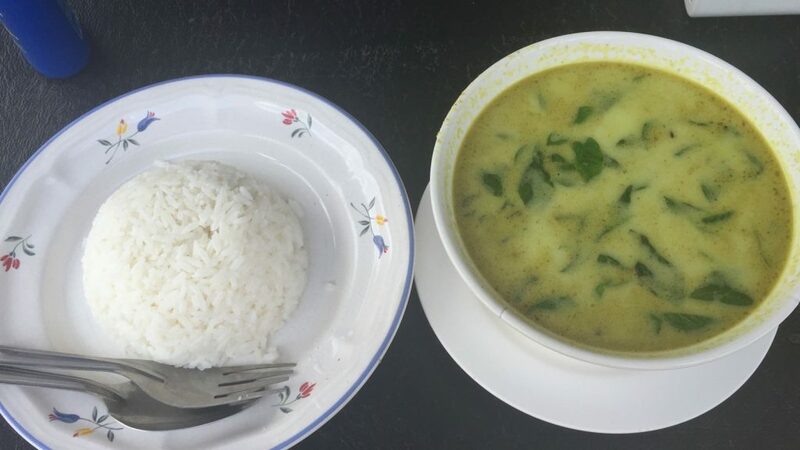 Furthermore, the Pai hostel is just a five minute walk from the centre and there is also plenty of shops and restaurants around. Also, for all you book lovers there is plenty of books for you to pick from and take one away. You will find plenty of places to stay in Pai, however this is a great budget hostel and for just $10 a night you will get a private room, private bathroom, free breakfast and lovely staff. What else is around the Pai hot springs in Thailand? There is a restaurant next the hot springs, I had dinner here and it was real tasty food and it’s very cheap. You can get a great meal at the hot springs for just a $1. Furthermore, there is also toilets and a changing room. Is the Pai hot springs worth a visit? 100% yes, the hot springs are a surreal experience and definitely worth a visit if you’re staying in Pai. 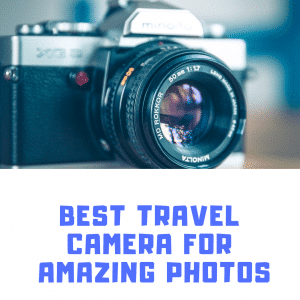 Let me know how you get on with your experience at these natural amazing wonders.